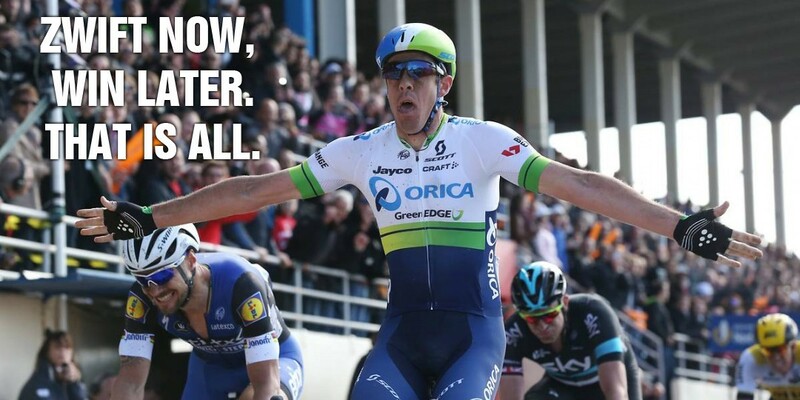 If you follow pro cycling you already know about Matt Hayman’s incredible win yesterday at Paris-Roubaix. What you may not know is that Matt logged nearly 1,000 miles on Zwift last month as he worked to stay in shape while recovering from a fractured radius bone in his right arm sustained in the Omloop Het Nieuwsblad race February 27. Zwift now, win later. That is all. 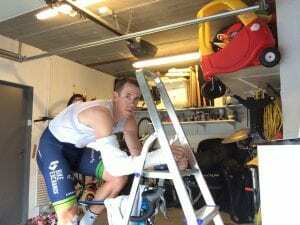 Matt, an Australian who rides for Orica-GreenEdge, was very humble in his win, going so far as to apologize for beating Tom Boonen who was chasing his record 5th Paris-Roubaix victory. (Matt has been a big fan of Boonen for years.) Hayman is no rookie, though, having ridden Roubaix 15 times and finishing in the top 10. What does a pro look like when he uses Zwift to maintain fitness as he recovers from injury? 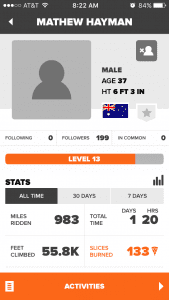 Looking at Matt’s Zwift account via the mobile app we can see that his first recorded ride was on March 3. 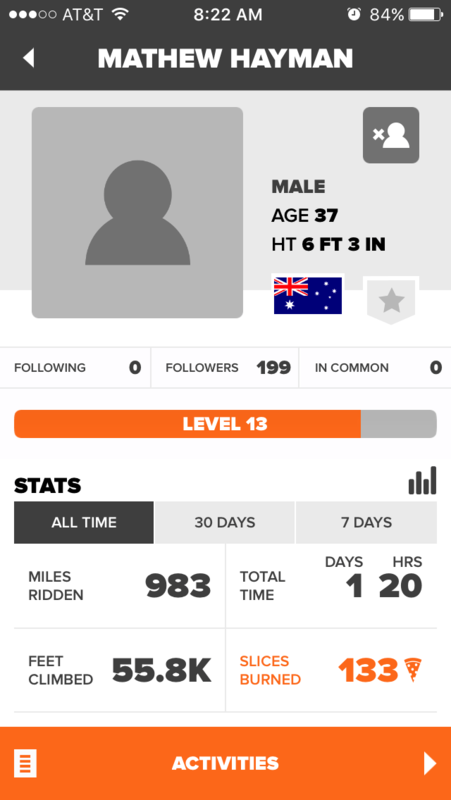 He rode on Zwift almost daily thru April 5th, often riding twice a day, racking up 983 miles and over 55,000′ of climbing in just over a month. I spent a lot of time on the home trainer; I was in my own little world, riding in the garage twice a day. I knew I had to hold onto the months and months of training that I do for the Classics every year. This is my 17th year as a professional and it started in October. I spent a lot of time away, time at altitude, a lot of time away from the family, to be ready for the Classics. I didn’t want all that to be taken way by a crash. So if there was no chance that I could get back, then I’d do it. Hayman rode beautifully in yesterday’s race, staying with the breakaway group for most of the race and even riding off the front solo for a significant stretch. Even after a strong chase group containing Boonen caught Hayman’s group, he hung with the group of five riders who attacked each other over and over again in the final kilometers. Hayman saved himself for one strong attack against Boonen, but even with that well-executed attack it all came down to the final sprint in the Roubaix velodrome where Hayman had the legs and position to pull off the win by a bike length over Boonen. What kind of power numbers does a pro like Hayman throw down? Check out this great post from Training Peaks analyzing Hayman’s power numbers for the race. Yes, a fantastic ride from a supremely humble fellow.